The City of Tulare, located in California’s world renowned San Joaquin Valley, is known for its rich agricultural and dairy industries. Tulare is home to six large-scale cheese and dairy producers. Like many municipalities, the city is challenged to meet industrial requirements at a reasonable cost while maintaining harmonious relationships with the surrounding community. The Tulare Board of Public Utilities (BPU) and the city council have been innovative in selecting technologies that leverage its unique environment to provide maximum value to the Golden State’s industries and residents. Dairy facilities in Tulare—including Nestlé-Dreyer’s, Saputo Cheese, Kraft USA, and Land O’Lakes—produce large volumes of high-strength industrial wastewater, which is sent to the city for treatment. In 1989, the city selected an ADI-BVF® anaerobic digester as an efficient means of treating the wastewater to meet state regulations. 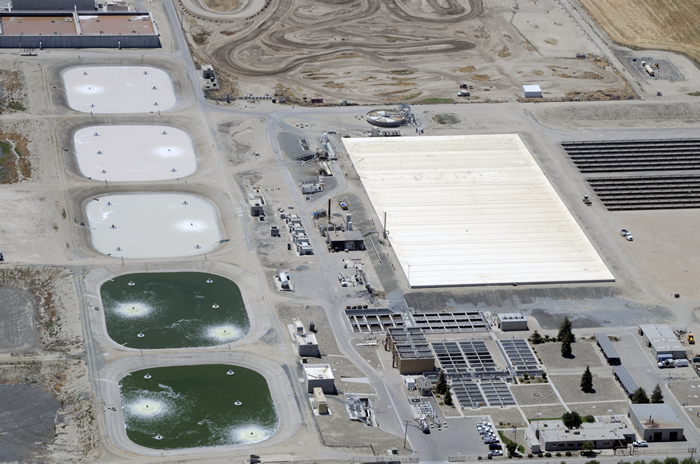 This technology allowed Tulare to comply with the discharge limits, but also carried the additional opportunity of converting waste to energy as part of the anaerobic treatment process. Energy conservation has always been extremely important to both the City of Tulare and the wastewater treatment facility. Since biogas can be used as fuel to generate electricity, the city wanted a means to reliably collect biogas from the BVF® reactor to recover the energy while also controlling odors and reducing greenhouse gas emissions. To address the City of Tulare’s needs, Geomembrane Technologies Inc. (GTI) designed, manufactured, and installed a floating gas collection cover over the complete 4 acre surface of the city’s digester. The cover is designed to be gastight so that it contains all the biogas generated by the BVF® reactor, thereby eliminating odors. 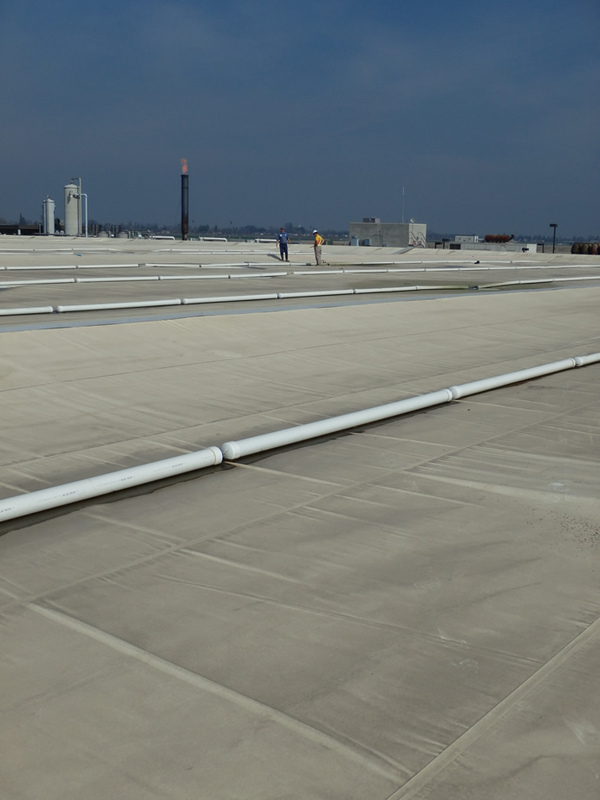 GTI’s cover is chemical- and UV-resistant to withstand the tough environment of the digester and the California sun. The cover is strong and stable, allowing personnel to walk across the BVF® reactor for operations and maintenance. Rainwater that pools on the cover surface is collected and drained. GTI is pleased to have partnered with the City of Tulare for over 25 years. The GTI gas collection cover installed at the Tulare Waste Pollution Control Facility collects up to 600,000 ft³ (16,990 m³) of biogas per day from the BVF® reactor. This is enough biogas to generate a significant portion of the plant’s required power, making the facility less dependent on the area’s electricity grid and helping to offset Southern California Edison Energy costs. The City of Tulare was recently recognized by receiving the Green California Leadership Award for its energy efficiency strategies, which includes the waste-to-energy initiative designed to reduce overall greenhouse gases generated in the community. Interesting topic(s) but poorly written and seriously misleading at times. This person could use a good editing!